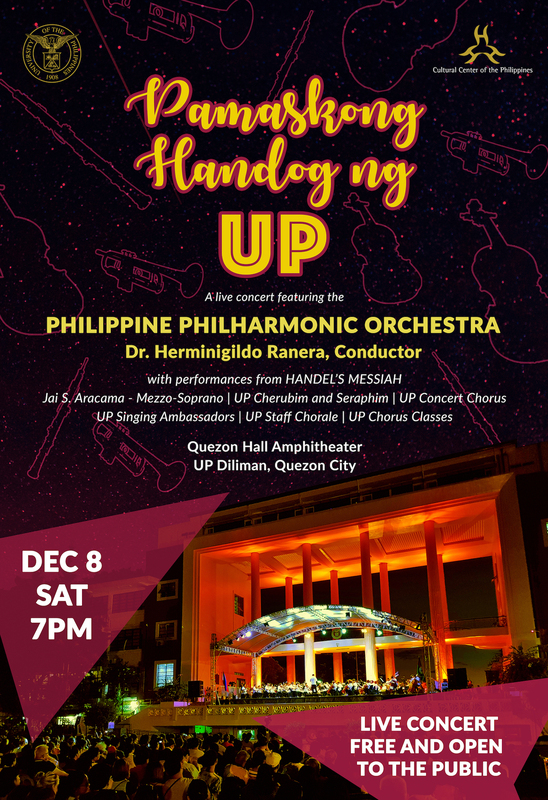 Tenor and project coordinator Prof. Ramon Acoymo of the UP College of Music made the announcement of the concert, “Pamaskong Handog ng UP”, which will be held on December 8, Saturday, 7 PM, at the Quezon Hall Amphitheater, UP Diliman, Quezon City. More than 130 voices comprising soloists and choruses of UP—under the musical direction of UP professor and Madrigal Singers choirmaster Mark Anthony Carpio—will be accompanied by the PPO under the baton of Dr. Herminigildo Ranera. “The PPO will play six orchestral pieces, collaborate with the singers in the performance of three Messiah choruses and then round up the evening with a Christmas sing-along of six carols,” Acoymo said, citing initial plans. The choral groups include the UP Cherubim and Seraphim, the UP Concert Chorus, the UP Singing Ambassadors, the UP Staff Chorale, and UP College of Music Chorus Classes. UP’s yearly Christmas traditions include a Messiah staging, which culminates in a grand-scale performance of “Hallelujah” when everyone in the audience rises on their feet. 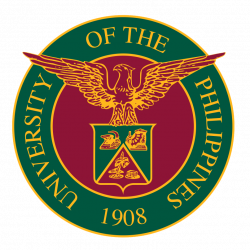 This is the first time the tradition will involve the partnership between the country’s premier orchestra, the University of the Philippines, and UP Diliman. Thus, this year’s Messiah will not only help PPO reach out to more communities but will also expand this venue for public service of UP and its own musical groups. Handel’s Messiah is an oratorio reflecting on the story of Jesus Christ as the Messiah. “Sublime music is wedded to sublime literature in the Messiah highlights as well as in the ‘Songs of Christmas’ celebration,” Acoymo said. Free seats for the public will be provided on the open amphitheater grounds. “All singers and chorister audience members may want to join in the singing of the ‘Hallelujah’ chorus as well, in what may yet be a jubilant and reverent classical ‘flash mob’ rendition of the immortal piece,” Acoymo added.